After two blends and a Nikka single malt from Miyagikyo distillery, the last in our “Japanese Jaunt” was a single malt from Suntory’s Hakushu distillery. 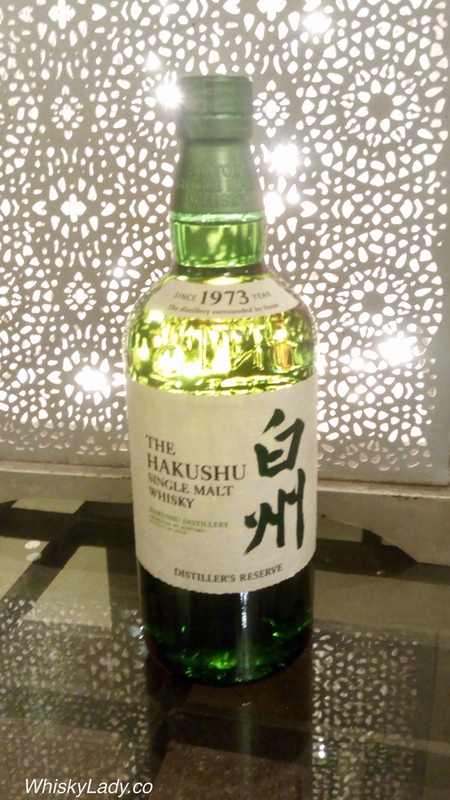 It was certainly not my 1st experience with Hakushu… Once upon a time the 18 year old was a favourite until it became highly elusive. Then our original tasting group sampled the NAS avatar.… followed by the Whisky Ladies… leaving only our Bombay Malt & Cigar gents to sample… which happened one fine evening in March 2018. Overall it was pronounced “very nice” until the topic of its price was raised. Which sparked a debate about whether Japanese whiskies are truly worth the hype. Whether you think yes or no, the bottom line is our evening was filled with finely crafted whiskies with a range of characters and it was a most enjoyable exploration. Straight from the untouched forests, soft and crisp waters and mountains of the Southern Japanese Alps, it is no wonder that Hakushu is a “green and fresh” whisky. Created by the dream for a new type of whisky of Keizo Saji, the second master brender, the unique taste made in distinct. Four seasons in high altitude is praised by the most curious whisky connoisseurs and lovers of gastronomy. Its crisp and vibrant feel, unique in a single malt whisky, enlivens and liberates your senses. What else did we taste in our “Japan Jaunt“?